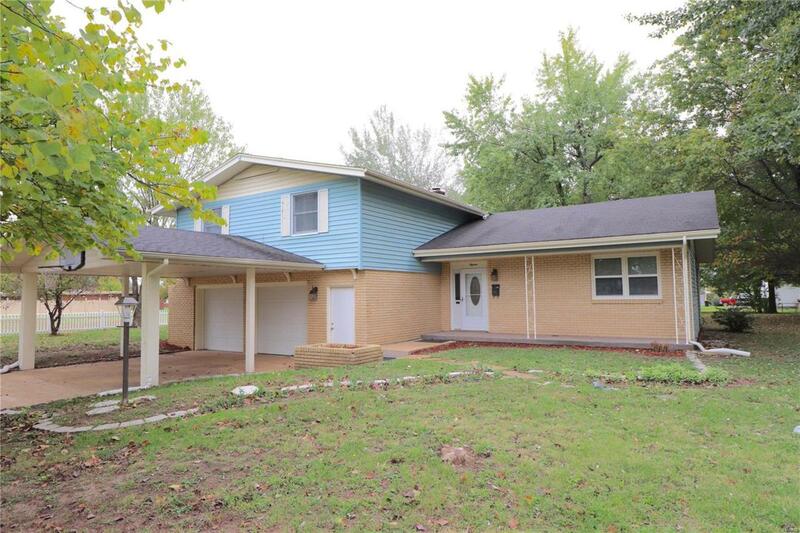 Adorable split level home with lots of room to grow! This property has "forever home" written all over it, with 4 bedrooms, 2 bathrooms and 2100+ sq ft to spread out! Boasting a beautiful feature wall in the living room and a cute updated kitchen, this homes main floor will leave you wanting to see more. In the lower level you have a full bathroom and oversized family room/den that could potentially be used as a 5th bedroom or master suite. On the upper level you have 4 great sized bedrooms and another full bathroom. This home is situated on a gorgeous partially fenced corner double lot that is just over 1/2 an acre in a great family friendly neighborhood, walking distance to Maplecrest School and the City Library. Additional features of this home include central electric heating and cooling, a large 2 car garage, carport area, and utility shed. Call today to schedule your private showing!